All eyes will be on Estadio Santiago Bernabeu when Real Madrid and Athletic Club face each other on Matchday 33. Los Blancos are having a season to forget, but Zinedine Zidane is back and, no doubt, the French tactician is going to build a quality team for the 2019/2020 season. Karim Benzema has been scoring goals for fun in La Liga this term and we predict that he is going to pose a big threat for the opposition defenders. The Lions, on the other hand, were struggling in the first half of the season, but they have been producing splendid performances in 2019. The Basques are in the race for a place in European competitions and seeing that Real Madrid have little to play for in the remainder of the season, we predict that the two teams are going to share the spoils in the Spanish capital. Gareth Bale is a Welsh footballer who plays for Real Madrid as a winger. “Bailo” was born in Cardiff on 16 July, 1989 and, as expected, he played for his home-town club Cardiff Civil Service at the start of his youth career. He moved to Southampton’s football academy in 1999 and he made a great progress during his spell with the Saints. Bale made 40 league appearances for the first team and it has to be noted that he played as a full back at the start of his senior career. In 2007 he signed a contract with Tottenham Hotspur and he was producing thrilling performances with the White Hart Lane outfit from 2007 to 2013. Real Madrid chiefs did well to sign him on 1 September, 2013 for a fee of €91 million. The Welsh winger won two Champions League trophies with los Blancos (2013/2014, 2015/2016) and, speaking of his international career, he made it to the European Championship finals with Wales. The Welsh ace scored three goals at the showpiece tournament in France as the Dragons reached the semi-final. 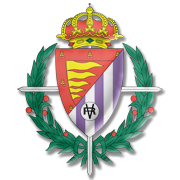 Athletic Club (mostly known as Athletic de Bilbao) is a Spanish football club from the Bask region which is playing currently in the Primera Division. 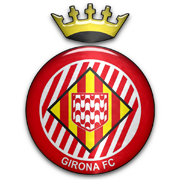 The club from Bilbao is playing in the highest Spanish division since its founded in 1928 and is next to Real Madrid and FC Barcelona for a longest period of time in the Primera Division. Athletic de Bilbao used to play until 2012 in the San Mames stadium (also known as La Catedral). Since 2013 the club is playing in anew stadium. Athletic Bilbao is known for its rivalry with Real Madrid. 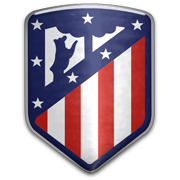 Atletico Madrid was founded by Bask students in Madrid. The old relationship between both teams is visible in the red blue jerseys of both teams. 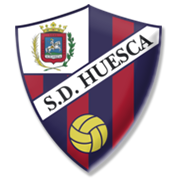 The second team Athletic de Bilbao is playing in the Segunda Division B in Spain. Athletic Bilbao won the Primera Division 8 times, the Copa del Rey 24 times, the Spanish super cup 2 times. Athletic de Bilbao didn’t won any prizes in Europe yet but managed to be the runner up in 1977 and 2012 in the UEFA cup.